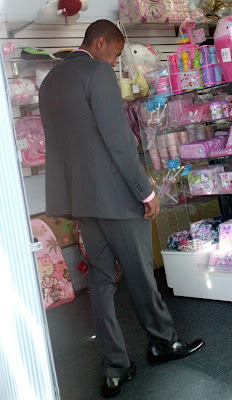 Nick Cannon is spotted doing some shopping for Hello Kitty stuffs. He is married to Mariah Carey which happens to be a Hello Kitty fan. With his good look, I think he deserves a better woman -_-"
Hello Kitty Porsche Car. What? 2009 All Rights Reserved Destroy Hello Kitty.